My husband Noel and I have been building aged miniature houses–Victorians, Bungalows, commercial buildings and roadside restaurants–for collectors and museums since 1974. At that time we quit our careers in advertising, and left the city for a simpler life on the coast of Washington State. Ten years ago we migrated across the river to Astoria, OR. We are Fellows of the International Guild of Miniature Artisans and teach at their school in Castine, ME each June . 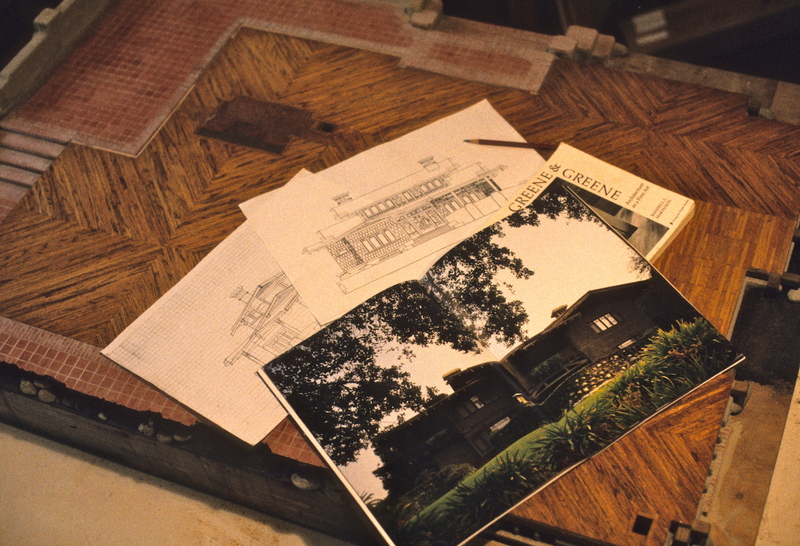 Our specialty is aging–making a structure that reflects the consequences of time, the elements, and human habitation. Over the years we built 64 1″ scale structures, taught over 50 week-long workshops, and made friends from around the world. This year we will be retiring from teaching and building, and I hope to include here some of the things we learned along the way. Most of our work resides in private collections, but some of the finer examples can be seen at The Toy & Miniature Museum of Kansas City; The Kentucky Gateway Museum Center, Maysville, KY; The Mini Time Machine, Tucson, AZ; The Denver Museum of Miniatures, Dolls and Toys; and Angel’s Attic, Santa Monica, CA. 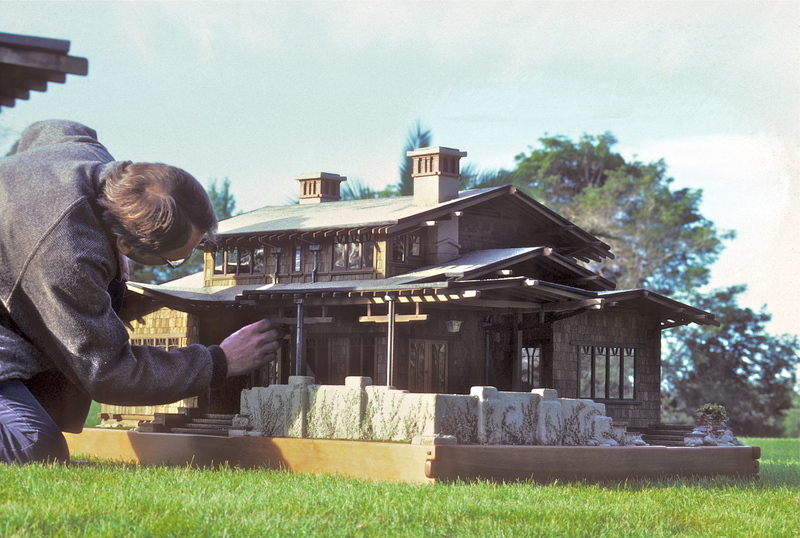 In 1974, my husband Noel and I began building aged miniature houses for collectors and museums. We were 70's dropouts. We quit our careers in advertising--art director and writer, respectively--and escaped Los Angeles in a VW camper and a Bug for a simpler life on the coast of Washington State. From a tiny studio in our home, we built 64 houses and buildings. Our specialty was aging--making a structure that reflected the scars and wrinkles of time, the elements, and human habitation. In the 80s we began teaching our techniques in workshops around the country, and I began to write our how-to's in Nutshell News and Miniature Collector. In 2000 we migrated across the Columbia to Astoria, OR, where , in 2011, we retired from miniatures. We are Fellows of the International Guild of Miniature Artisans and taught at their annual school in Castine, ME. By avocation I am a writer and poet. The blog is my way of working back into a writing routine, as well as recording what we did, and what we learned along the way. This entry was posted in Houses, Miniatures and tagged arts, lifestyle. Bookmark the permalink. We are at the IGMA Board meeting in Chicago and are investigating setting up our own blog. We are looking at yours for ideas. Mary Yount, Kim Narog, Misty Barth, Annelle Ferguson, Duffy Wineman, Carol Hardy, Corky Anderson, Pat Richards, Barbara Davis, and Kaye Browning (who thanks you for the museum advertising). Thanks! I’ve sent Barbara an email explaining more, but meantime, just go to http://www.wordpress.com and click on Getting Started–it’s very easy, and free. Have fun! Is it time to find new homes for your miniatures? Rooftop Studio, Part II–A little more parsley, please?